After several years in the doldrums, the housing market is heating up, according to industry watchers. Rising prices, a tight inventory and interest rates that remain relatively low continue to entice buyers. 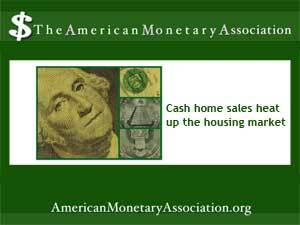 And as those buyers vie for the available homes, one thing creates a clear advantage: the ability to pay cash. Glink, Ilyce. “In Housing, Cash is King.” Spaces. Yahoo Homes. 11 June 2013.